If you are planning a trip to the Sacred Valley and looking for a cozy but upscale hotel experience, look no further. The Sol y Luna is your choice! This luxury boutique-style hotel offers all you need for a comfortable and relaxing stay amidst the stunning landscapes of the Sacred Valley. The experience is amplified by the generosity and hospitality show-cased by the staff of the hotel. We have a number of cruise options that are ideal for families large and small. With great on-board facilities including pools, spas and lounges, our ships are havens of luxury for busy families that want to relax together. What better time to take a trip down south than during Spring Break? Instead of following the tourist beaten path to all-inclusive resorts, why not try a unique Spring Break vacation to the Amazon Rainforest or the Galapagos Islands. These special experiences last a lifetime and can even positively influence children going forward. 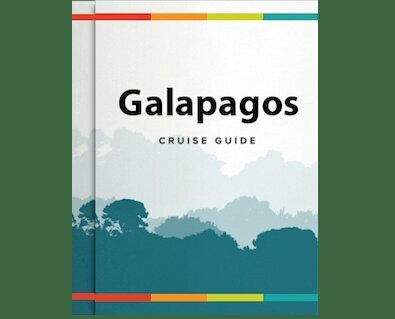 If you are still a little unsure, then here's our guide to bringing your kids on a Galapagos Cruise. While Peru might not seem like the obvious destination for your next family vacation, it is guaranteed to be one of the most unforgettable and powerful vacation destinations you could choose for your family. Peru has some of the most stimulating culture, diverse wildlife and ancient history on the planet. Traveling to Machu Picchu with kids is not easy, but it is possible. Ironically, despite working in travel - creating custom itineraries for our clients each day - I found myself struggling a bit with my own travel plans. Partially due to the fact that my mind is saturated with possibilities, but also because there are shockingly few families traveling with young children to the Cusco area, so my usual grab-bag of solutions did not apply. Taking a cruise - be it on an ocean or a river, such as the Amazon - has become increasingly popular with extended families, as the well-equipped boats offer a safe, fun environment for various generations to spend 'quality time' together, share varied experiences in remarkable environments ... and perhaps celebrate a milestone such as a significant birthday or anniversary. Are Amazon River Cruises appropriate for families with young children? Rainforest Cruises is often asked whether an Amazon River cruise would be appropriate for children. Young families are just as eager to visit the world’s top destinations as anybody else, so are Amazon cruises really the correct vacation choice?